My book In Search of the Perfect Loaf launched yesterday with a flurry of Twitter traffic. This world is so much different than the last time I published a book, way back in the prehistoric age of 2006 when we all emailed each other. Well, in the new world, I received some gratifying tweets from many people I respect as fellow writers. 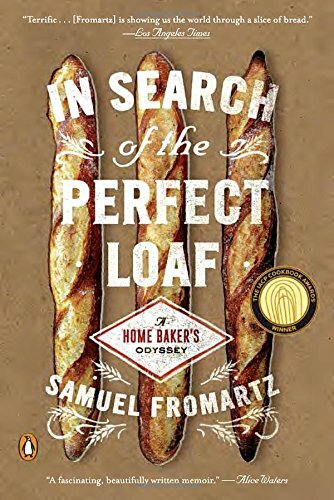 If you’re among the growing number of home bakers, I highly suggest you reserve a weekend day for yourself and read Samuel Fromartz’s In Search of the Perfect Loaf: A Home Baker’s Odyssey. Fromartz’s bread journey—a trip that took him to California and France and Germany—is enviable. He worked alongside bread titans, sharpened his bread game and delved deep into the world of wheat.